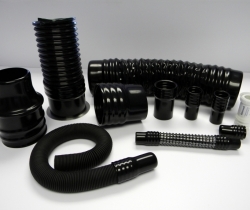 Uses include ventilation and fume extraction; for pharmaceutical, electronics, engineering and automotive applications. The following standard stock PVC grades are available. We have tooling for standard size cuffs, 25mm, 38mm and 50mm. In addition we can make custom production tooling to meet your requirements. 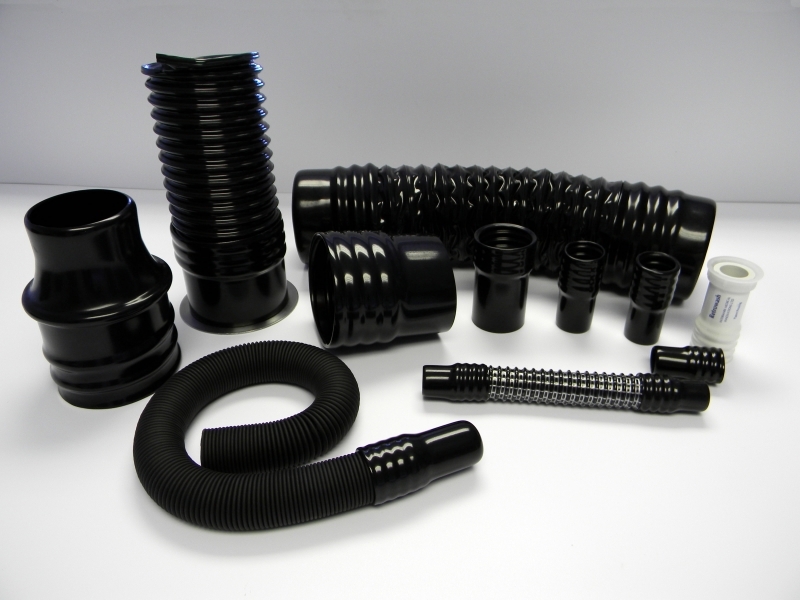 Examples of ducting cuff products we have manufactured.